Terms and Conditions - Council of Parent Attorneys and Advocates Inc. Thank you for being part of our community. The Council of Parent Attorneys and Advocates, Inc. provides its resources so members can share legal and advocacy resources needed to obtain effective educational programs for students with disabilities, and to disseminate news about COPAA. To ensure the best possible experience for all members, we have established some basic guidelines for participation. By joining and using this community, you agree that you have read and will follow these rules and guidelines. You also agree to reserve discussions and shared files and content to that best suited to the medium. This is a great medium with which to solicit the advice of your peers, benefit from their experience, and participate in an ongoing conversation. Questions about using COPAA tools should be directed to our member services department via the Contact Us link on this site. Please read the following Community Guidelines which apply to the COPAA Website, Listservs, Communities, and all Communication vehicles. Do not "flame.” "Flaming” includes derogatory comments, ridicule, excessive sarcasm, and belittling others. Respectful disagreement is not flaming. It is not a flame to post "Have you written a letter to the school requesting testing? The request doesn't exist if it's not in writing.” It is a flame to write "How can you be so stupid and think the school will test just because you had a conversation in the hallway? If you'd bothered to read the archives you wouldn't be doing such ridiculous things.” Every subscriber must be respected; no subscriber should be ridiculed or belittled in the COPAA Community or by private email. Keep posts on-topic. The general guidelines for topics are related to our mission: discussion of special education and related advocacy and legal issues, history, and current events related to the aforementioned. 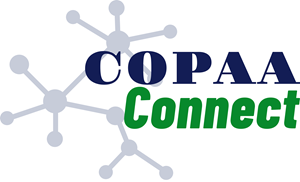 COPAA's membership is very large; your post will be received by many busy people. Please think about whether your post will add to the discussion in an informative way that will be of value to others, or whether it is best to send it privately. Check to see if others have provided the same information that you are. Moreover, members may be placed on moderation if they send excessively large numbers of posts, or post the same or similar information repeatedly to an extent that it is no longer helpful. If you post a question and receive several answers, please consolidate them into one reply, rather than posting one reply to every answer. When members unsubscribe because list volume is too high, we may lose the folks who can answer the toughest questions or provide valuable insights. If you are not sure about posting something or have any questions, please ask theListowner. Please include your name, email address, and practice state in all posts to the COPAA Listservs. The only people on the COPAA and COPAALAW lists are COPAA members. We ask that members not post anonymously, so members can feel comfortable knowing to whom they are talking. Subscribers may not forward Member Only information, files, documents, posts, or personal content from them, without the original poster's prior written permission, as stated above. If the information contains posts from more than one person, you must get prior permission from all posters. All forwarded messages should have relevant COPAA information, such as headers and footers removed. Subscribers may not share the email address of other COPAA Community Members without prior consent. Forwarding list posts or sharing personal content in them without prior permission from the original poster(s) will be grounds for removal from the lists. It is generally wise to avoid using personal names or other identifying details in describing cases or situations. COPAA takes no responsibility for personal information included in posts or file uploads. COPAA's Community forums and groups are only open to COPAA members, and forwarding posts to others without permission can result in suspension or termination. COPAA cannot, however, guarantee the confidentiality of any post or that information will not be shared. Therefore, it is the member's responsibility to exercise care in sharing information and to be aware of the practical limits of confidentiality. Respect intellectual property. Post content that you have personally created or have permission to use and have properly attributed to the content creator. By subscribing to COPAA's Member Community, you agree not to upload files or information or send posts that infringe upon the copyrights belonging to others. Do not post full articles unless you have permission to do so. If there is an article you wish to share, please post 1-2 paragraphs and the link to the article, for other list members to read. You further agree not to post to the lists any message or other text from outside the list without the author's express permission, unless the item is clearly for public dissemination (example: a press release or public event announcement), or is within the ‘fair-use' limitations as set by international copyright conventions. You acknowledge that in most cases this prohibits posting complete articles from newspapers, magazines, or web sites, and that you will generally need to provide a link to the material, instead of posting the full text to the list. If there is no link, you may offer to send it offlist to persons who email you privately as long as you comply with copyright and fair use requirements. It is your responsibility to determine if you are complying with these requirements; COPAA takes no responsibility for such forwarding of materials. It is COPAA's understanding of antitrust law that lawyers and non-lawyers should not engage in any discussions regarding the amount of fees that individuals charge for services rendered in advocating for students with special needs. Accordingly, COPAA will not permit any discussion of rates to occur in any of its forums. It is a violation of antitrust laws to agree not to compete; therefore, discussions among competitors or potential competitors not to compete for certain clients or not to offer certain services or not to practice in certain jurisdictions are not permitted. Discussion relating to boycotts is prohibited, including discussions about blacklisting or unfavorable reports about particular companies or individuals including their financial situation or capabilities. Advertising is expressly forbidden. No commercial use shall be made of these Listservs or their membership. This includes, but is not limited to, using names, email addresses, or other information from the COPAA or COPAALAW lists or membership directory to advertise or sell any product or service, or to assist another in doing so. Sending unsolicited advertisements or information of a commercial nature (selling any product, service, or anything else for a fee) to other subscribers, whether through the lists or privately, is a violation of these rules. Any complaints about violations of this policy should be sent to the list moderation team. If you have a service or product to sell, you should post it on the COPAA Forums, an electronic bulletin board located on COPAA's website. The forums can be found in the Members Area under each specific Group Page. Pick the All Members Forum if you want to reach everyone. Notices of conferences, trainings, webinars, etc. should be submitted to the list moderation team for approval prior to posting. Notices should be brief and consist of a brief description, date/time, location and a link or contact phone number for further information. COPAA Members may not send political or policy action alerts, or any other communication for the purpose of encouraging members to take political action. Members wishing to distribute an action alert to the COPAA Network must submit the alert to govrelations@copaa.org. If the alert is deemed to be in support of COPAA's mission and policy objectives COPAA may disseminate the alert through the appropriate communication vehicle. The COPAA resources are invaluable to members for sharing information regarding legal and advocacy resources needed to prepare for individual cases, state advocacy, and/or other efforts to obtain effective educational programs for students with disabilities. Use of COPAA resources for purposes of such individual advocacy information gathering, or information gathered as part of an effort of an existing COPAA Committee, is permitted without prior approval. We do ask that members include relevant information below when making request. However, the COPAA website, database and discussion lists may not be used by members for research or surveys for the purpose of gathering of a sample of data or opinions considered to be representative of a whole or for use outside of COPAA unless explicit permission is given in advance. 9. Agreement to submit a summary of the completed research or survey information to COPAA, which may be distributed to its membership, and to disclose COPAA members as the source in any written report. The opinions and information expressed within the COPAA Community are solely those of the author/member. When commenting on the situation posted or shared by another member, members should frame posts in the nature of a recommendation rather than prescriptive advice. Given that members do not know the individual child or situation, may not be familiar with state law or regulation, or may not be licensed to provide specific advice, it is advisable to phrase your post as ”You may wish to consider”, or "check out IDEA 34 CFR 500.502(b)(5). Use of COPAA resources or forums to second guess advice of professional or counsel retained is absolutely not appropriate. Members acknowledge that the posts in COPAA Community forums and resources are not legal advice or opinions (even if the poster is an attorney), and they are not a substitute for consulting one's own professional counsel or attorney about one's situation or case. COPAA bears no responsibility for the opinions or information or their accuracy. The use of COPAA's resources or forums does not create attorney-client relationships. Individual posters are solely responsible for their posts. COPAA makes no guarantees about its listservs, list posts, or actions of its list members, and offers no endorsement or opinions about posts on the lists. COPAA is not responsible or liable for the content or distribution of any posts, or for the actions of any list members, including actions that may violate Community Guideline Rules, or the damages or consequences that may result from any posts or list member actions. List members agree that they–and not the Listowners, List Moderators, COPAA, ICORS, or LSoft or YourMembership–are solely and completely responsible for their writings and posts. This includes liability for defamation or other violations of law. Subscribers agree this is true even if moderation (review of messages prior to posting) is used for the list. Moreover, COPAA is not responsible for private email or other communications off-list. Questions or concerns about the COPAA Community should be sent to the Moderation team. Email sent to this address will go to the COPAA moderation team which includes the Executive Director, appropriate volunteers, staff, and the Board of Directors. COPAA's Executive Director is Denise Marshall. List members agree that all inquiries related to the list must go to the COPAA list moderation team, that neither ICORS nor LSoft will address inquiries from list subscribers, and that repeated failure to observe this rule may result in a ban on membership in all ICORS lists. The COPAA lists are private, moderated Listservs. Participation in the listservs is a privilege and not a right. These rules are intended to improve the usefulness of the Listservs for all subscribers. Therefore, each subscriber is expected to be familiar with these rules and to abide by them. Subscribers who consistently have problems adhering to the rules of the COPAA Lists may be put on moderated status indefinitely. "Moderation” is a process by which email messages sent to the list must be approved by the List Moderation Team or moderators before being sent to the list. Posts are moderated for adherence to list rules, not for point of view. Violations of listserv rules may also result in suspension or exclusion from the Listservs if warranted. The COPAA list moderation team may unilaterally change a member's listserv options, including placing the member on moderated status, or removing a member from a COPAA List, for any reason. If the member disagrees with this action, he or she may ask the list moderation team to reconsider the decision. After this, if the member disagrees with the final decision, he or she may file a complaint with the COPAA Board of Directors by sending an email to the COPAA Executive Director. The Board of Directors of COPAA has the final determination concerning the Listservs. Do not send complaints about other listmembers to the Listservs. Complaints about compliance with Listserv rules should be sent to the Listowner (Iistowner @ copaa.org) and should include a copy of the message in question and should describe specifically the reason for the complaint. Following receipt of a complaint, the list moderation team may use its discretion in determining whether a violation has occurred, whether further action is required, and how to implement that action. The list moderation team will consult with the COPAA Board as needed.